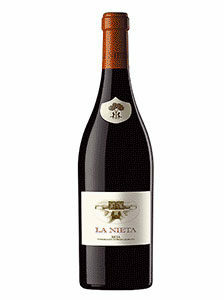 14.90€ Bottle 75 cl Tax incl. 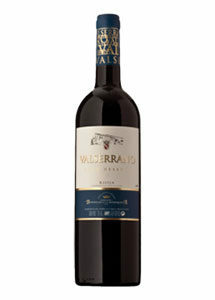 70% Tempranillo, 20% Garnacha, 7% Mazuelo and 3% Graciano. Terraces of the tertiary clay-lime areas. Fermentation with indigenous yeast in oak tanks. Aging for 24 months in barrels made with oak selected in our cooperage. Before bottling, the wine is clarified with fresh egg white. Once in the bottle it will undergo a refining process for at least twelve months in our cellar. The nose shows ripe black fruit, syrup, bitter chocolate and continues to develop with notes of spices such as pepper, vanilla and some scrub. In the mouth it is harmonious but with that soft acidity tip, which gives guarantees of future. Its entrance is wide and long, with a route that distributes silky and mineral sensations ending in sweet tannins that “grab”, slightly asking for some “dead time” for integration. In retrolfaction the notes of scrubland and oak are better defined. Repeating what is perceived in “direct olfaction” but with less preponderance. It is a harvest of “character”.